Commodore, a company most famous for their C64 and Amiga computers, went bust in 1994. The brand, however (much like Atari’s) lives on, and it’s this week been resuscitated in a strange and curious place: the mobile phone market. 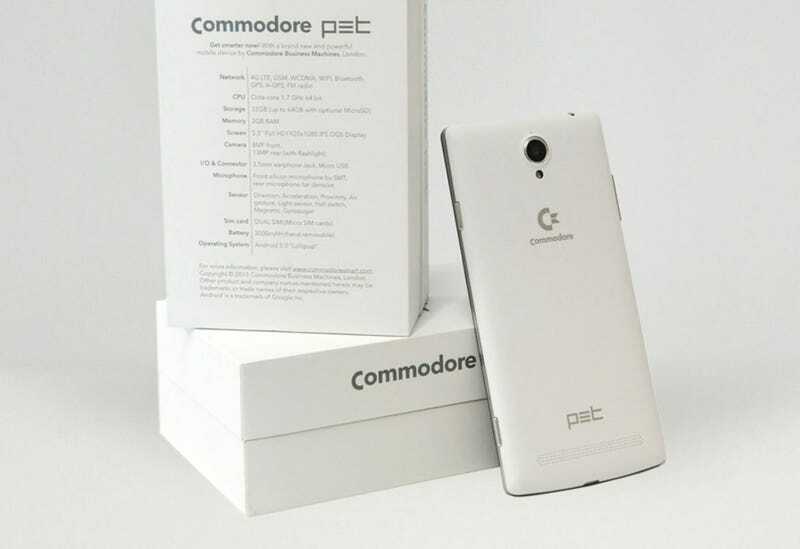 This is the Commodore PET, an Android phone that leverages the grand old brand name by including “official” emulators for both the C64 and Atari. As for the rest of the phone (via Wired), it’s pretty standard stuff: there will be two versions available, one with 2GB of RAM and 16GB storage, the other with 3GB and 32GB. Both will run Android 5.0, and they’ll be out next week in select European markets. The emulators are a nice touch, if unnecessary; it’s not like Android users need anyone’s blessing to go installing emulators on their phone, regardless of the platform. But if you’re in the market for a middling Android phone, it does at least look nice!